All the fighters slated to participate in tomorrow night’s “UFC on FOX: Shogun vs. Vera” event tipped the scale Friday inside Staples Center in Los Angeles, California. A pair of light heavyweight affairs headline the freebie fight card. 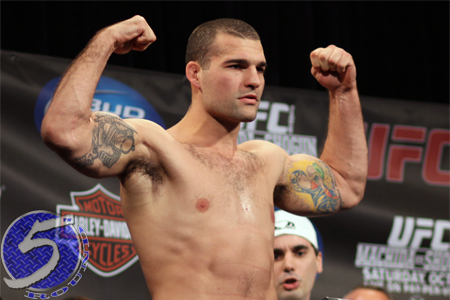 Lyoto Machida battles Ryan Bader in the night’s co-featured attraction, while Mauricio “Shogun” Rua (Pictured) closes out the show against Brandon Vera. FOX will broadcast the main card live beginning at 8PM ET/5PM PT.